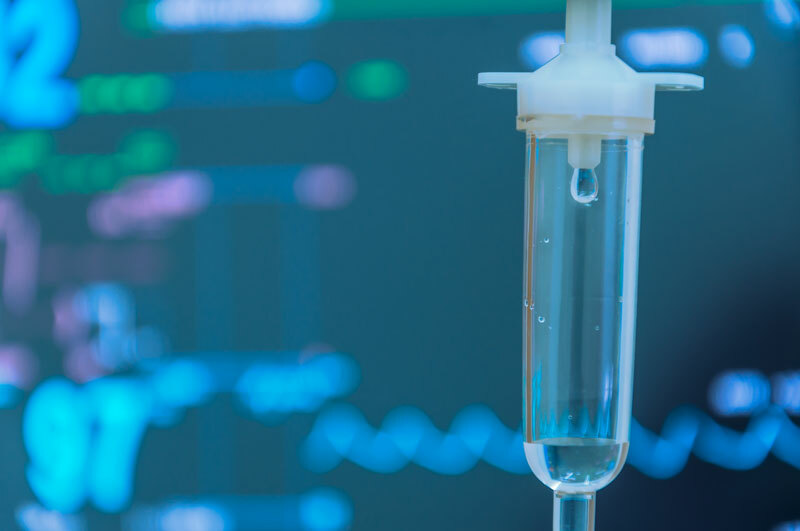 In recent years, IV Ketamine therapy has gone from a virtually unknown alternative treatment to the subject of numerous research studies and mainstream news articles. Although its usage for depression and anxiety is still growing, Ketamine’s already been listed for decades as one of the World Health Organization’s top essential medicines. It’s also widely in use as an FDA-approved anesthetic, though at much higher doses than we use in our treatments. We can all expect to hear much more about Ketamine as it continues to help countless people suffering from treatment-resistant depression, severe anxiety, PTSD, OCD, fibromyalgia and other serious conditions. If you or your loved ones are suffering from severe depression, you know how frustrating treatment can be. There is no single universal medication that works for all depression sufferers, and it often takes weeks or months of trials to determine the ideal medication and dosage. This is what makes intravenous ketamine infusion such a highly appealing option for fighting depression. Results are often experienced in a matter of hours or days instead of weeks or months – and ketamine treatments are effective in more than 80% of cases. Have any questions about IV Ketamine treatment? Call us today at (720)222-0550 to speak with a member of our patient services team and learn more. How Can Ketamine Treatment Help Me With Depression? If you need relief faster than the weeks or months of depression medication trials. If you are suicidal or otherwise incapable of functioning and need prompt relief. If you’ve had depression for a substantial length of time and other medications have not been effective. If you are experiencing postpartum depression. If you are experiencing an episode of bipolar depression. If your current depression medication has ceased helping you. The benefits of ketamine therapy are long-lasting for the majority of our clients. Many clients find their oral depression medication works better after ketamine therapy and don’t feel the need for further ketamine infusions. In other cases, clients choose periodic ketamine treatment after their initial series. If you have depression but don’t treat it with medication, there is a greater likelihood you will desire further treatment down the road. What If I’m Already Taking Or Considering Oral Medication For Depression? Ketamine infusion therapy works both as a standalone treatment and in conjunction with oral depression medication. If you’re already taking oral medication, we typically have you continue your oral medication during your ketamine infusion series though individual cases may vary. In cases where a previously effective depression medication has ceased working, ketamine can even act as a reset, enabling your medication to work again after your ketamine series. If you haven’t yet started oral medication, ketamine therapy can provide immediate relief to help you while you perform your trials of oral depression medication. Although the majority of IV Ketamine treatments are for depression, Ketamine has also demonstrated highly effective results with severe anxiety. Ketamine can also be very effective when both severe anxiety and depression are present together. During your in-person evaluation, we can determine whether you’re a good candidate for Ketamine, or if another therapy might be more appropriate for you. Our center offers a full spectrum of traditional prescription medicine as well as natural alternatives that can help with all types of anxiety. We realize Ketamine can be a little intimidating for some of our patients, so we’re happy to discuss the treatment more with you. Just call us at (720)222-0550 to speak with a member of our staff and we’ll answer any questions you might have. We can also discuss more traditional or holistic options for your care if desired. What Else Can IV Ketamine Help Me With? If you’re unsure whether ketamine is right for you, please call us to schedule a complimentary phone consultation. At Ballen Medical & Wellness, all of our IV drips are administered in the warm, comfortable environment of our infusion suite, located in Centennial, Colorado, just south of Denver. Treatment begins with an in-person evaluation to determine if the treatment is appropriate for you. We’ll also present other options as well if we feel they might be a better choice for your care. After your evaluation, we’ll create a treatment plan for you and schedule your infusions. If you have psychiatrist or a therapist, we’ll collaborate with them to find the right program for you. Most plans feature an average of 6 infusions in total, with a minimum of 3. Ketamine drips are prescribed either by our founder, physician Beth Ballen, MD, or by our nurse practitioner, Leslie Vannucci, NP. 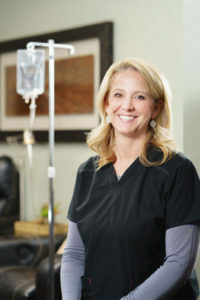 The infusions are then administered by a registered nurse, typically by our Director of IV Therapy, Tara Cox, RN, CRNI. As a Certified Nurse of Infusion, Tara holds the highest certification possible for IV nursing. What Do IV Ketamine Treatments Cost? We currently offer IV Ketamine infusions for the highly competitive price of $350/per treatment. If you need financial assistance, please contact our partner Advance Care for interest-free financing and other options based on your credit history. You can call Advance Care directly at 1-800-432-9470 or visit them here for assistance. What If I Already Have A Psychiatrist Or Therapist? Although our center offers psychiatry and therapy, many of our ketamine clients have outside psychiatrists or therapists. Dr. Ballen is happy to work with your doctor or other practitioner to incorporate the ketamine infusions into your current treatment plan. If you think IV Ketamine might be right for you or your loved ones, call us today at (720)222-0550 to speak with a member of our patient services team and learn more. You can also fill out this brief contact form and we’ll get back to you shortly. Please note: IV Ketamine is available only by prescription. 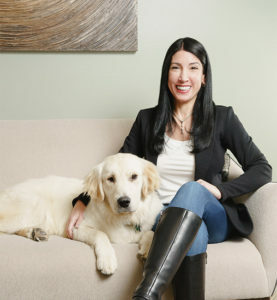 At Ballen Medical & Wellness, all IV Ketamine treatments are administered under the guidance of founder and physician Beth Ballen, MD, or family psychiatric nurse practitioner, Leslie Vannucci, NP.